CHIANG SAEN, Thailand – I’m not much of a shopper, but this was one museum gift shop I couldn’t wait to see. 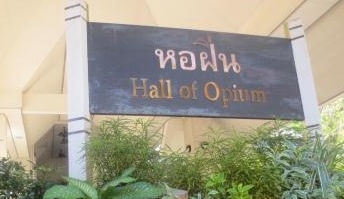 The Hall of Opium in northern Thailand is to narcotics what The Louvre is to art. The museum’s extensive and enlightening examination of one of mankind’s most enduring problems has made it a popular excursion for travelers exploring the Golden Triangle, a region covering parts of Myanmar, Laos and Thailand that has long been notorious for the production and trafficking of opium. Everything you ever wanted to know about the drug – from its 5,000-year history, its countless victims, legitimate medical uses, the paraphernalia used to ingest it, and government attempts to control it – is on display in this three-story, multimedia museum. It’s sobering, highly informative and even a little entertaining. And no, they don’t sell samples in the gift shop. Located in a 40-acre park overlooking the Mekong River, just a few miles from where the borders of Thailand, Myanmar and Laos intersect, the Hall of Opium was the brainchild of the King of Thailand’s late mother, Srinagarindra. Determined to wean the hill tribes living in this part of Thailand from their dependence on growing and using opium, the Princess Mother initiated a public-education campaign in the late 1980s. The campaign’s showpiece – the Hall of Opium – opened in 2003 at a cost of nearly $10 million. The campaign seems to be working. Thanks to improved public awareness, enhanced law-enforcement techniques and efforts to get the hill tribes to cultivate other crops, the Thai government has eradicated most of the country’s opium fields. 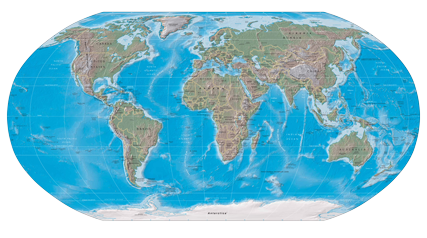 the United Nations no longer considers Thailand to be a significant producer of opium. That’s not the case, however, in other parts of the Golden Triangle. According to the U.N., Laos and Myanmar have both seen significant increases in opium cultivation in recent years. In fact, Myanmar is now the second-largest producer of illicit opium in the world, behind Afghanistan. The Hall of Opium grabs you as soon as you walk inside the building and doesn’t let go. The entrance is a dramatic 150-yard-long dark tunnel dug inside a mountain. Haunting music plays while visitors walk past walls bearing sculptures of contorted, anguished faces. An illuminated golden triangle cut into the floor marks the tunnel’s exit. Prasert Thep-intha, the museum’s manager, said the entrance is designed to create an atmosphere associated with the pain and torment caused by drug addiction. “When people are addicted to opium, life is like being stuck in a tunnel,” he told me after I had spent 90 minutes exploring the museum. A display at the end of the tunnel introduces visitors to all the intricacies of the poppy plant. There’s even a small poppy field similar to those once planted in the region. A few days earlier, I had visited a Hmong village in northern Thailand where a few blooming poppy plants growing in the garden. The Hmong used to rely heavily on opium production but now cultivate other crops and market exuisite handicrafts. The remaining handful of poppy plants is now just a novelty for the benefit of curious tourists. “Too many plants and the police will come,” our guide told us with a smile. The Hall of Opium also has exhibits devoted to the opium wars between China and Britain, a hollowed-out ship showing how opium was transported across the seas, and a section called Medical Marvels that shows the development of morphine and other opium-derived medicines. I was surprised to learn that scientists at Bayer Laboratories actually patented heroin in 1898. There are re-created opium dens — complete with stoned mannequins — and a primitive lab showing how opium was extracted from plants in the jungle. Another exhibit has every opium accessory imaginable, including pipes, boxes to keep the drugs fresh, even the pillows used by opium smokers to rest their heads while under the influence. “Many pillows were designed with a hole for the ear to make a long smoking session more comfortable,” the exhibit noted. The Gallery of Victims chronicles the demise of famous people who struggled with drug addiction, including Elvis Presley, Marilyn Monroe, John Belushi and Kurt Cobain. I was especially fascinated by an exhibit showing some of the unusual and creative places drug smugglers have attempted to hide their merchandise: inside teddy bears, dried chilies, and plaster arm and leg casts. Close to the exit there is a Hall of Reflection, a quiet room where visitors can ruminate on what they’ve seen and look at quotes on plaques from various world leaders on the importance of leading a life of moderation. All exhibits are in both English and Thai. Thep-intha said the Hall of Opium attracts about 70,000 visitors a year, 80 percent of whom are Thai. As for the museum’s gift shop, it was stocked with clothing, ceramics, furniture and other products made by local hill tribes, with all proceeds being returned to them. The only items for sale even close to being illicit were “poppy delight” bread rolls, made from poppy seeds. Most likely, they were completely harmless. But after what I had absorbed during my visit to the Hall of Opium, I had no urge to try one.